In 2007, REDD+ emerged as the leading option for early climate change mitigation. In 2010, after the failure of negotiations at the Copenhagen COP, observers cited REDD+ projects and other subnational initiatives as examples of the polycentric governance (based on multiple independent actors operating at multiple levels) necessary to move climate change mitigation forward in the absence of a binding international agreement. 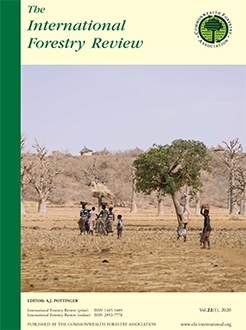 This paper examines the ways subnational initiatives can and cannot play this role, based on the experiences and opinions of 23 REDD+ proponent organizations in six countries. These proponents have tested various approaches to climate change mitigation, demonstrating the value of a polycentric approach for promoting innovation and learning. However, from our sample, six initiatives have closed, four no longer label themselves as REDD+, only four are selling carbon credits, and less than half view conditional incentives (initially the core innovation of REDD+) as their most important intervention. While polycentric governance in REDD+ has benefits, it will not enable implementation of REDD+ as originally conceived unless accompanied by a binding international agreement.